LA SALLE COLLEGE vs BISHOP MCDEVITT “CATHOLIC LEAGUE FINAL 4” (2/21/19) PALESTRA!! We Know About Duke’s Big 3, But what about everyone else? I’m sure by now everyone has heard about, and seen the amazing freshman class residing in Durham for the next 6 months, but what about everyone else? This class is full of grinders and unicorns as they’ve been deemed. The rare player that’s a big man but has skills like a 6 foot guard. The first is Bol Bol the son of the late great Manute Bol. Bol is a 7’3” big man that can shoot the long ball and handle and distribute like a point guard. His guard like skills don’t divert his natural abilities, he’s a great rim protector and rebounder. The only knock I have on Bol is he doesn’t stay engaged all the time which I’m sure he’ll be able to perfect as coaches ask and expect more from him at the next level. 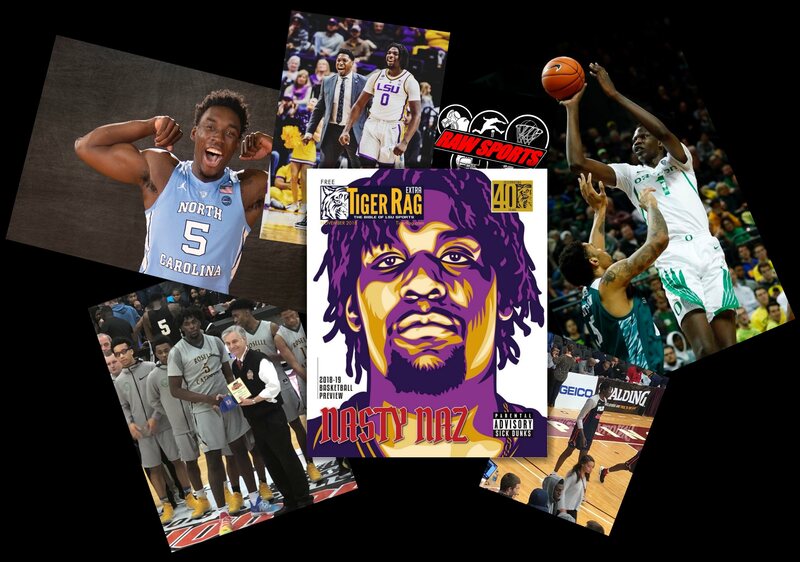 The next unicorn is Naz Reid a 6’10” 240 pound point forward that dons the purple and gold of LSU this season. Naz boasts a wide frame but that doesn’t stop the jelly fam moves. He’s a great ball handler who can create for others as well as he can for himself. Naz brings everything to the table but doesn’t shy away from using his big body to bang in the post. The thing I’d like to see Naz improve on this year is his decision making which is going to come with the maturation of his game. Remember his name when June comes around it will be called early. Lastly, and certainly not least my grinder and most likely guy to crash the top 3 picks, Nassir Little a 6’7” gritty wing with tremendous upside. Flaunting his talents 9 miles down the road from the Big 3 in Chapel Hill. The Tar Heel wing is best known for his ability to get to the basket. He’s a good on ball defender, has a solid shooting stoke, and is a high flyer. Nassir brings the intensity every play. He checks all the boxes in everything you want. His evolution as a player will be fun to follow this season. I hope to see him become a better playmaker for others this season. Hoop season is finally getting into the full swing of things and these guys will be ones I’ll be sure to be locked in any time these guys are on. Raw Sports Films is a movement started by Big Star, dedicated to changing the way you view sports culture. The movement features sports documentaries, highlight reels, Big Stars Lost Tapes featuring classic games, current game & event coverage, training/workout videos, Big Stars Book Stars, and much more! Copyright © 2014 Raw Sports. Design by Dream Maschine LLC.